It has been quite a good month so far for the jailbreak community with quite a few nice tweaks alongside with tons of rumors of alleged iOS 9.2/9.3 jailbreaks. I really wanted to talk about some of my favorite tweaks, although it’s not regular. So here are the top 5 picks by middle of February that worth checking out. Flame is a the most robust and comprehensive tweak ever in history, which is developed by one of the r/jailbreak Sub-Reddit Mods, aiming to improve experience of using the Cydia App. There are tons of additional functions that the tweak brings to Cydia including time-out for Cydia refresh time, pull to refresh, UI customization, share packing information and URL, auto-finish after installing tweaks, removing homepage ads, and more. You can’t really find anything better than this. Anisette brings Deck for iOS 6 in 2012 to the new age of iOS 9. For those who are not familiar with Deck or Anisette, it is a centralized sidebar from the right hand side of the screen allowing quick access to any flipswitch toggle as well as recent apps and favorite apps. All are customizable in the settings panel of the tweak. I also recommended this over Snakebite I was on JailCast a week ago. Not saying Snakebite is worse, it is absolutely nice, but at least for now before it is updated with a fix for better compatibility with other multitasking tweaks such as Tage and seng, I am sticking with Anisette despite that it takes up an Activator gesture to invoke. Definitely check it out if you have a buck to spare. BrickDate is a recent jailbreak tweak that forbids either malicious or accidental manual settings of the date on the device, especially the year of 1970 which will brick your device until all batteries are drained. Until Apple fixes it in the next iOS 9.3 betas, this should be a better go for you at the moment. Though I talked about BrickingDate from Ziph0n which serves basically for the same purpose. But I personally find that BrickDate has a better implementation that you can have a kill switch in the Settings App, as well as the ability to access some Date & Time settings instead of having the whole section blanked. Another legacy tweak being brought to the modernized iOS is GraviBoard 6 years ago. It is now materialized in the name of Gravitation. The tweak adds virtual gravity to your home screen when you invoke with an Activator gesture, or simply shake your device on the home screen. Once started, you can title your device to let the icons flow around the home screen. And of course, you can customize the behaviors such as enabling exploding animation which I highly recommend you to do so, as well as tweaking bounciness, friction, gravity, etc. in the Settings panel. To return to default state, simply press the home button and it’s all good. The ultimate objective is to let you have fun with all the icons moving everywhere on the screen, but not anything function-oriented. Check out the demonstration video below from the developer for better idea of how the tweak works in action. I was a big fan of WeatherIcon or related but they are not updated since iOS 8. But developer nin9tyfour brings it back with Meteor. This is the latest tweak that I have got on my device as soon as it launched on Cydia. The tweak adds current weather information on the iOS Weather App icon as well as the status bar. It captures the first location set in your Weather App. There are quite a few customization allowed and I will leave for you to explore. What do you guys think and what are your favorites so far? 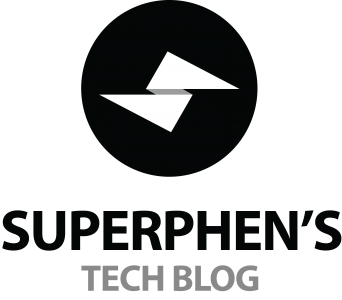 Let me know in the comments and be sure to subscribe to the blog or follow me on Twitter for the latest jailbreak and tech news. If you guys like this post, I will be doing it more regularly in future.